Ahead of the June 23 Brexit vote, analysts at the Australia and New Zealand Banking Group (ANZ) have said the price of gold could reach as high as $1,400 an ounce. From today's opening gold price of $1,288.10, that's an 8.6% increase. And hitting that mark would be a gain of 31% from when the bull run started at the end of 2015. We know that investors are going to be flooded with Brexit news over the next few days. But we also know the mainstream media won't analyze the impact of a Brexit on gold prices. That's why today Money Morning will review the case for gold skyrocketing after the Brexit vote. Brexit, or the "British exit," is a reference to the fact that Britain could withdraw from the European Union (EU). The EU was created in 1993, and it was designed to create unity among its 28 member countries. Within the EU is the Eurozone, which consists of 17 countries that use the euro as the national currency. Britain is not a member of the Eurozone. According to pro-Brexit lobby group Global Britain, EU membership is hampering Britain's ability to expand its trading capabilities. Instead of primarily trading with just 27 other countries, the lobby group argues Britain could increase its trading capabilities across the whole world by leaving the EU. Britain is also looking to leave the EU because of labor issues. According to CNBC, 14 million workers live in the EU who were not born in an EU country. One of the key principles of the EU is freedom of movement for labor, which has left blue-collar workers feeling threatened by an influx of cheap labor from non-EU countries. Finally, Britain is in favor of leaving the EU because it does not use the euro for its national currency. Because the majority of members use the euro and Britain doesn't, British officials worry they may not have enough influence over the EU's decision-making process. The vote to leave the EU will take place on June 23. Gold is viewed as a safe-haven investment during periods of uncertainty. One member of the European Union leaving may not seem like a big deal. 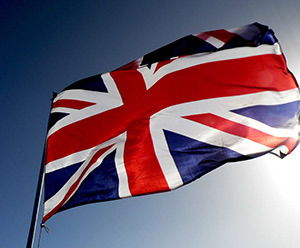 But if Britain leaves, many pundits fear it will create weakness in the United Kingdom's economy. And if the UK's economy falters, many believe a ripple effect will occur within the entire EU. You see, Europe is still dealing with a euro crisis that started in 2009. Several Eurozone members, most notably Greece, were unable to refinance or repay their debt or bail out troubled banks. Greece, Spain, Portugal, Ireland, and Cyprus have all had to seek assistance from different third parties (the International Monetary Fund, the European Central Bank, and Eurozone countries) to pay debt since 2009. European nations started to implement financial support in 2010 by lowering interest rates and providing cheap loans. In 2012, the ECB enacted free and unlimited support for Eurozone countries involved in sovereign state bailout programs. The economies of Portugal and Ireland rebounded, and the countries were able to exit their bailout programs in 2014. But countries such as Greece and Spain currently have unemployment rates higher than 20%, indicating some of the largest economies in the EU are still in trouble. The Brexit vote, along with poor job growth data in the United States and volatile oil prices, are all reasons why the price of gold could trade for $1,400 in 2016. Sensing economic turmoil, retail investors and billionaires alike have poured money into gold and gold exchange-traded funds (ETFs) since the start of 2016. According to the World Gold Council, the demand for gold in Q1 2016 surged by 21% year over year. Investors also poured $7.6 billion into the SPDR Gold Trust ETF (NYSE Arca: GLD) in Q1. So far in 2016, GLD is up 20.79%. On Dec. 30, 2015, gold was trading at $1,061.30 per ounce. From today's opening price of $1,288.10, it's climbed 15.71% in roughly six months. The Bottom Line: With demand of gold through the roof and triggers for economic collapses across the globe piling up, the Brexit vote could be the catalyst that sends gold prices to $1,400 an ounce.